The past few weeks have been chaotic running-wise due to holidays and guests. I managed to squeeze one run in mid-point, but I was feeling so unfit after holiday excesses, that I didn’t even time myself. Today I managed to get out in the early morning sunshine. Wasn’t looking forward to it, but actually it was fine and I feel far better for having done it, energy levels higher and concentration better. It strikes me that much of life is about just ‘trogging on’ on days when you don’t feel like it, when you aren’t going to beat any records, when no-one else cares or is even watching. It is on these days that the ability to ‘trog on’ is vital, and, I would venture, massively important. Everyone can motivate themselves when the world and his wife are watching, when great opportunities hang on the outcome, when glory beckons. But only a few men and women of character and determination can motivate themselves when none of that is true. When the only thing standing between you and failure is your own iron will and no-one gives a hoot what you do. In those hidden yet decisive moments we decide who we really are, and express our inner character and quality. Interestingly the Bible expresses the same principle with regard to spiritually successful life. Salvation – a successful life in which we come to know God and be joined into His family – only happens to those who can dig in, on the long run, to the end. 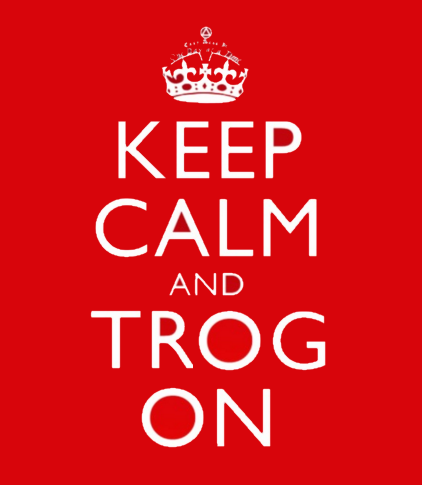 Trogging on – it’s important.